Since 1996 Health Care Training Services has trained thousands of students who have moved on to employment in health care and related fields. Our Career Preparation and Skills staff, work with students to assist them in learning job skills and creating resumes. With our hands on approach to teaching, by experienced professionals, we provide the students with real world skills training. Those in demand skills are what employers are seeking for today's jobs. The diversity of instructors and students allow for dynamic learning environment. Our up to date classrooms are comfortable, air conditioned and handicapped accessible. All of our courses are offered on site, so no travel to another location is required except for your school coordinated externship/clinical experiences. A key element in the way Health Care Training Services works is the leadership of the school, in that our school President has worked as the President and CEO of a major health care system, which included a 350 bed acute care teaching hospital, three (3) nursing homes, a physician group practice, a home care agency, and a free standing laboratory. This experience and guidance is critical in how we deliver our programs. Students have taken our programs for years with the intent to improve or create new skills for today’s jobs. Unlike other school, we are open year round with open enrollment allowing for frequent starts and convenient schedules. Our students benefit from up to date equipment and computers. Our low cost affordable programs and courses with several payment options allow the student to obtain the skills they desire while working within their budget. Call us today and schedule your appointment to visit the school and learn more about how we can help you start your new life today. Proudly serving MA and RI. ATTENTION!! OUR EMAIL SYSTEM IS BACK! Classes enrolling now for March and April 2019! 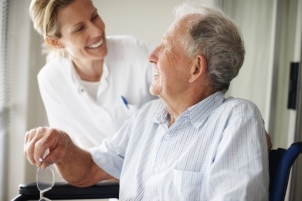 Health Care Training Services has combined with HHTC and will be operating as Health and HomeCare Training of New England with locations in Fall River and Brockton Massachusetts. Call 508-846-2387 in Brockton or 508-672-6800 in Fall River for more information or to enroll! We offer the classes you need to keep on top of the industry. Whether you are brand-new to the health care field, or want to upgrade skills you already have, we have classes to fit your needs. Classes are scheduled days and evenings for your convenience. Use us as your first step into a new world. Many students use our beginning classes as stepping stones to transition into other health care careers. Once they have the "basic training" and know that health care is the field for them, our graduates have gone on to study for careers in nursing, physical therapy, etc. With a head start into the medical profession already, you can continue to study for these advanced careers while working in the industry and earning a good living. More than facts and skills, we teach an approach to caring for others. Health care education needs to be more than classes and exams. It's about caring. It takes a special disposition to work in the health care field, and our teachers will help you learn how to care for others while learning the course material. Working in a nurturing, relaxed atmosphere, our teachers take the time to work with you to ensure you understand the material. 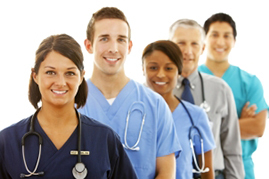 By encouraging class discussion, stimulating independent thinking, and communicating effectively, they provide help and advice to prepare you for all aspects of working in the health care profession. 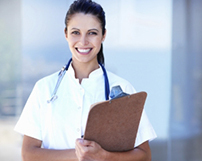 Everyone comes out on top at Health Care Training Services. Once an investment in classes is made, the question in the back of every student's mind is: what's next? Our students can rest assured there is always a demand for their services once certification is completed. Our one-on-one attention, cutting-edge classes, and solid education all add up to give the student a training experience with added value, and give the employer a trained, compassionate professional. We take pride in helping our students find jobs! Our graduates are known by area health care organizations to be well trained - enhancing the likelihood of being hired!